Butternut squash doesn’t need to be refrigerated, but should be stored in a cool dark place and can last for up to several weeks. When selecting in the store, inspect its skin and ensure that it is firm and free of bruises. Also, be sure to check for brown frostbite scars, which can affect the squash’s texture and longevity, and punctures or cuts, which can let bacteria in and cause mold. 2 medium-sized butternut squash – 2/$3.00, value $2.99, Save 50% WOW! 3-4 organic gold potatoes- 5 lb bag $2.49, value $4.99, Save 50% WOW! 1 large yellow onion- $0.99 each, value $1.99, Save 50% WOW! 2-3 stalks organic celery- $0.99 per bag, value $1.99, Save 50% WOW! 1 32oz container Organic Chicken Broth- $1.49, value $3.29, Save 55% WOW! * Note: Avocado Oil has many healthy benefits: it’s a good source healthy fat and Vitamin E, plus can help you absorb many other fat-soluable nutrients. It’s also delicious. Give it a try! Splash white wine – Suggested: Bedford Lane Chardonnay, 750 ml $3.99, value $9.99, Save 60% WOW! 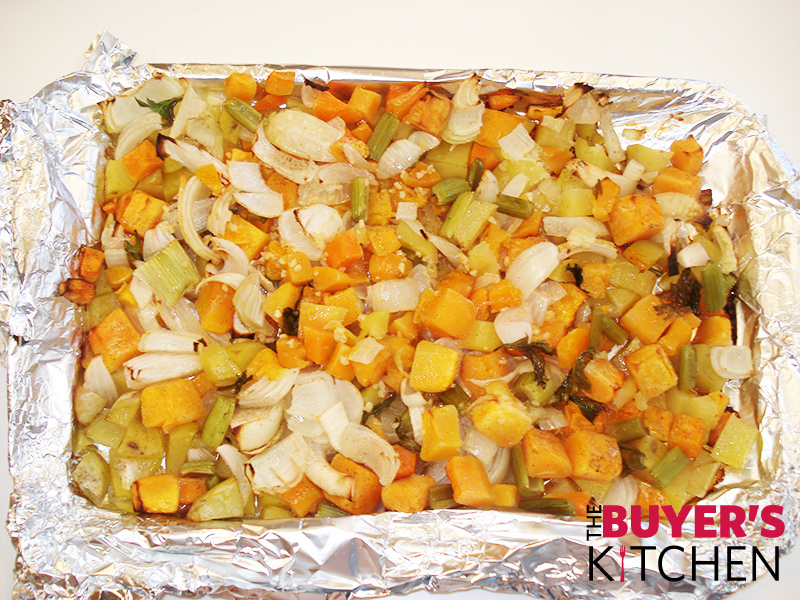 Peel the squash and potatoes and cube into medium sized chunks. Roughly chop the onion and celery and mince the garlic. Place onto a foil lined baking sheet. Drizzle with Avocado Oil and season with salt and pepper to taste. Be sure to mix the vegetables so all are coated evenly. 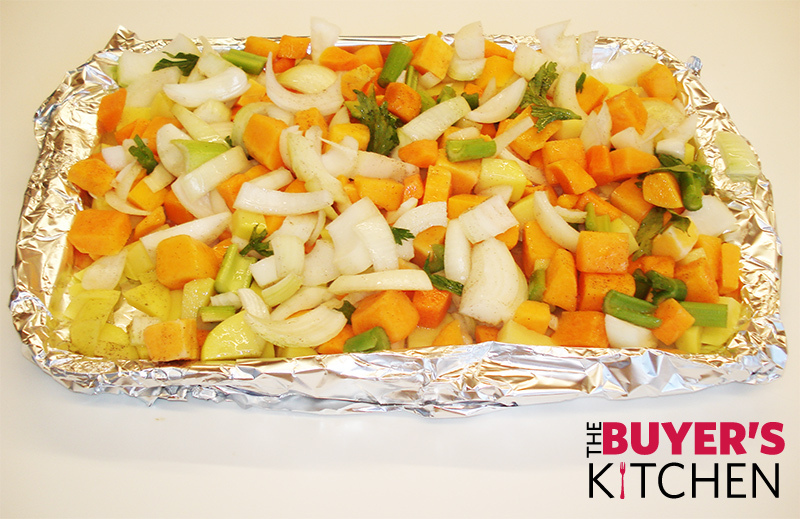 Roast the vegetables for 45- 60 minutes until tender and soft. 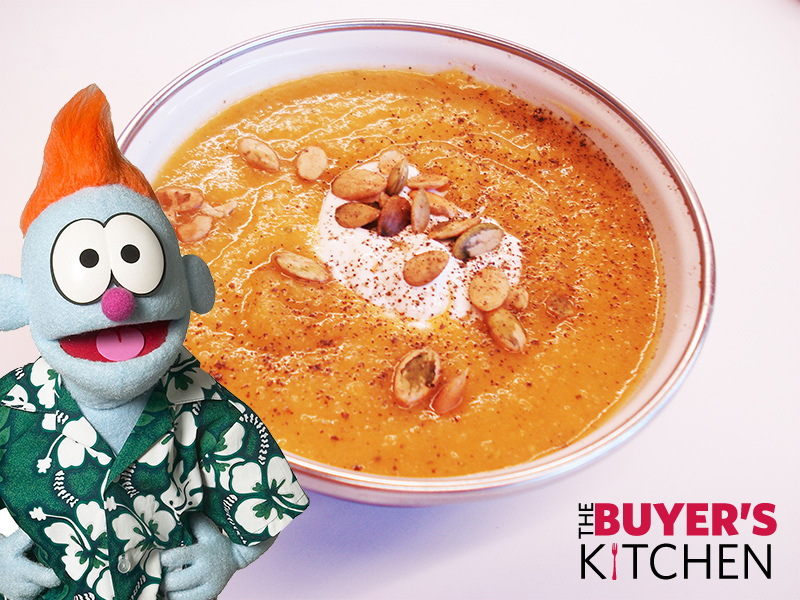 Transfer the roasted vegetables into a large soup/ stockpot and add the container of chicken broth and splash of wine. 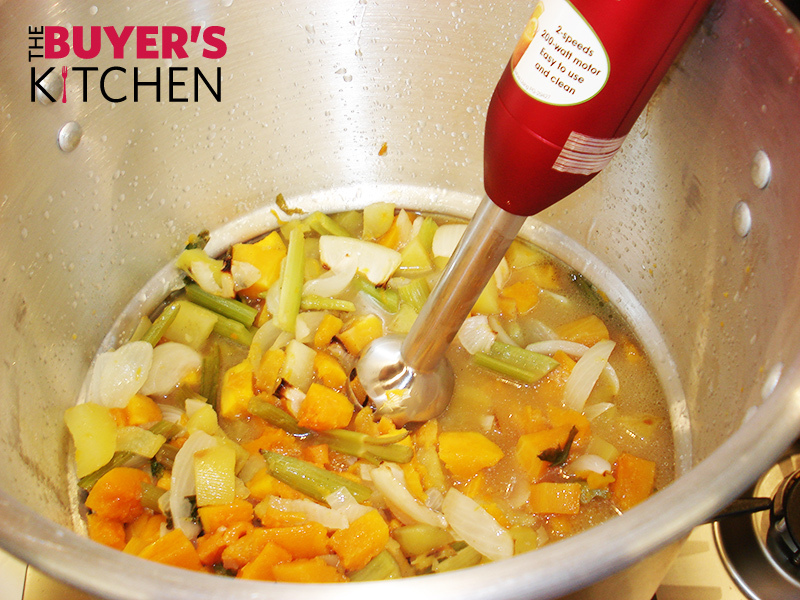 Using an immersion blender, blend vegetable and broth mixture on low heat until smooth. *If you do not have one, you can also use a blender or a food processor. And add into a stockpot to heat and finish before serving. Ladle the bisque into a soup bowl. 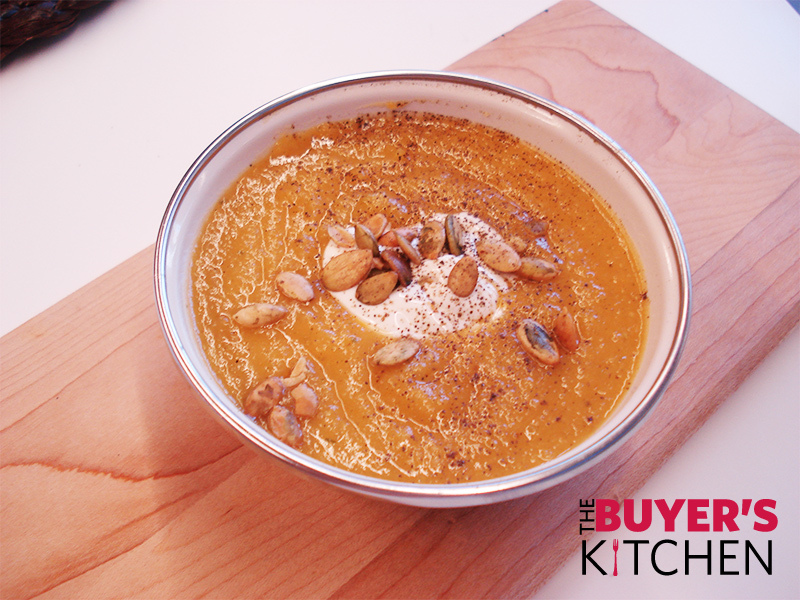 Top with roasted pepitas and crema for a richer, heartier meal. Enjoy!